Like it or not, tax season is a reality for grownups. What might help you is a deduction Child and Dependent Care Credit. Check with your accountant about the possibility of claiming a deduction related to the expense of summer camp or read up on the deduction here. Imagine, your daughter can have a profound camp experience and you may be able to account for the expense and lower your taxes owed. Speaking of taxes and making things better, did you know Maine’s Environmental Protection Agency and Maine Lakes Society partnered to create the Lake Smart Program and also to make sure the awareness of invasive plant species and reduction of invasive aquatic plants and animals is required of all boat registrations through the “Milfoil Sticker”. A small fee is collected from boat owners to go toward education, inspection, detection and reduction. Our hopes is reduction means 100% avoidance, protecting our dear lakes of Maine. 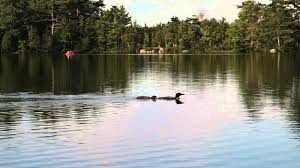 Maine Lakes Society is based in our dear town of Belgrade Lakes with the Seven Lakes Alliance in the Maine Lakes Resource Center in the village. Awareness is the best form of prevention of spreading milfoil and other invasive plants and animals from lake to lake. 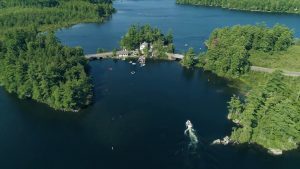 Keeping Maine lakes clear and free of invasive species is a win-win for everyone. It ensures lakes in Maine and our Great Pond continue to remain the amazing lakes they are today. This is win-win for today AND for the next generations of campers, shore-front property owners, visitors and local businesses keeping Maine the state that is dubbed Vacationland. So, although for some people mid-April is what we think of as tax time, know that programs like the “Milfoil Sticker” help Maine stay the way we love it, “The Way Life Should Be”.